Yankee Wire Cloth Products only makes custom metal filters and strainers, so meeting your custom need is all we do. Whether you’re replacing an overpriced or obsolete OEM part or you have a unique filtering need, we can help engineer and custom manufacture either a single metal filter or up to thousands of units. You can count on us to produce the exact metal filtering product you need, including custom metal filters and custom metal strainers. Customers trust Yankee Wire Cloth Products because we offer more than metal filters and strainers. We offer peace of mind. 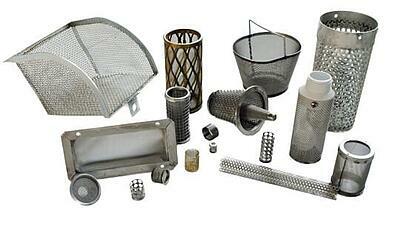 We can take a worn out metal filter or strainer and build a new one that fits perfectly. We understand filtering and can recommend the material needed to meet your specifications for thousands of different filtering jobs. We work with your engineers to manufacture custom metal filters and strainers tailored to your exact need. We call this collaborative approach “Mutually Agreed Upon Design.” We’ll review prototypes, blueprints or even used parts to develop the most cost-effective and practical finished product possible. Custom metal filters and strainers from Yankee Wire Cloth Products are made just for you. We build each product to specifications set by customers like you, sharing our expertise in metal filter and strainer construction to ensure a successful outcome. The result is a filter or strainer, made exclusively for your application. Off-the-shelf products can’t match the fit, quality and efficacy of custom filters. Refer to our capabilities section for more detailed information and examples of our manufacturing capabilities. We have the team, tools and experience to deliver unmatched reliability and quality for your exact metal filter or metal strainer need.